When Phil Collins answered an advert in the Melody Maker for “A drummer sensitive to acoustic music,” little could he imagine what would transpire. Seen by many, including himself, as an unusual, and at first reluctant, replacement for Peter Gabriel as the lead singer with Genesis; unusual until they heard him, he was made for the job. Even so, Collins may have been surprised by the success of his first solo album – it topped the UK chart, staying on the charts for over four years, and went top 10 in America. It was the beginning of a solo career that has, to date, seen eight studio albums released. Collins started work on Face Value as winter gave way to spring in 1980, sessions finished the following January and the album came out a month later to stellar reviews. The album’s opening track, and debut single, was the atmospheric, ‘In The Air Tonight’, which went to No.2 on the UK charts. ‘Missed Again’, which made No.14, followed it. In America the releases were reversed and both tracks made No.19. Face Value eventually climbed to No.7 on the Billboard album chart where it stayed for three years. The beautiful, ‘If Leaving Me Is Easy’ became the third UK hit single from the album and it very much reflects the over-riding theme of the album, which addresses Collins’s break-up from his first wife. With its, at the time, controversial use of programmed drums rather than the live drumming most people would have anticipated, it is an album full of depth and interest. Aside from Collins it also features Eric Clapton on a couple of tracks and the Earth Wind & Fire horns that reflects Collins love of soul and R&B. Despite being a tough act to follow, in November 1982 Collins put out, Hello, I Must Be Going, which only just failed to better his debut when it made No.8 in the Billboard chart. In the UK it made No.2 and stayed on the charts for well over two years. 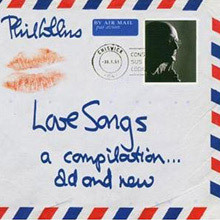 It includes Collins’s homage to Motown and the Supremes with his cover of ‘You Can’t Hurry Love’, which topped the UK chart and went to No.10 in the US. The principal musicians on the album were Collins, who played a whole variety of instruments along with guitar, and bass player, Daryl Stuermer, who played on his debut and many of his other solo albums; he had been playing live with Genesis since 1977, and continued to do so until 1992. In the music business there’s a saying about, ‘the difficult third album’. The theory being that the first two are usually made from material that has been stockpiled, while by the time of the third record it’s wearing thin. Nothing could have been further from the truth as far as No Jacket Required is concerned. It topped the charts for seven weeks in America and repeated the feat in the UK, but only for five weeks. Sales were driven along by the success of singles that included, ‘Sussudio’ and ‘One More Night’; both singles topped the Billboard chart. Among the gems on this album is ‘We Said Hello Goodbye’. At the end of the No Jacket Required world tour Collins performed at both the Wembley and JKF Stadium Live Aid shows, flying between London and New York by Concorde. To prove it was no fluke Collins’s fourth studio album …But Seriously repeated the success of its predecessor, topping the charts in both Britain and America, as 1989 became 1990. The main single was the extraordinarily catchy, ‘Another Day in Paradise’, a song that was about the plight of the homeless, a subject that has rarely been covered in a No.1 selling single. In 1990 many of the gigs on the …But Seriously world tour were recorded and released as Serious Hits Live. It’s very different from many live albums in that there is a marked difference between many of the original versions of the songs and Collins’s live versions. The drum sound in particular is less ‘electronic’ and the clarity of the vocals give full reign to Collins’s voice, which sounds both assured and fragile on the ballads. It includes three of Collins’s US No.1s that did not feature on studio albums, the Grammy winning, ‘Against all Odds’, along with ‘Separate Lives’ and ‘Two Hearts’. 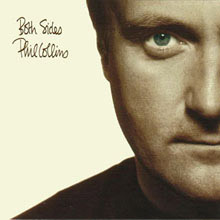 1993’s Both Sides was a solo album in every sense of the word as Collins made it entirely on his own. Over a period of just 6 weeks, Collins played and recorded everything at his home studio. According to Collins, "In the end I had 17 songs, and kicked out all those that did not fit that mood. As far as performance is concerned this has more heart and soul than anything I have done before." It was also a return to old themes in that this reflected upon the break-up of his second marriage. ‘Both Sides of the Story’ was a top 10 single in the UK. The album topped the charts in Britain, France, Holland and Germany and went to No.15 in America. His sixth studio album, Dance Into Light, released in 1996, was a very much more up-tempo album than Both Sides. It was also the first album without any programmed drums. There’s Beatlesque tracks like ‘That’s What You Said’ and ‘It’s in Your Eyes’, Mexicali sounds like, ‘Wear My Hat’, and even a Dylan cover, ‘The Times They Are A Changin.’ It topped the charts in Germany and several other European countries as well as making No.4 in the UK. 2002’s Testify is a more reflective album than its predecessor and reflects the fact that Collins created many of the tracks in his home studio, working by himself; the albums’ title track is a standout. His latest album is one made up mostly of Motown covers along with some other soul standards. Called Going Back, it featured Collins recording many of the songs that he grew up listening to in West London, around the time of him being an extra on The Beatles film, A Hard Day’s Night. 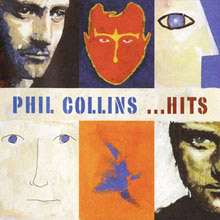 Originally released in 1998 Hits does exactly what it says on the cover and focuses on Phil Collins’s singles, many of which topped the charts around the world. It’s also a great reminder of what a superb body of work Phil Collins has produced as a solo artist. It includes his chart topping duet with Philip Bailey, the exultant, ‘Easy Lover’ and the first appearance on album of the single, ‘True Colors’. The range of Collins’s work is also apparent on the soundtrack album for the Walt Disney animated movie, Tarzan from 1999. Collins composed the songs on the soundtrack and he performed them, some as duets. His song, ‘You'll Be in My Heart’ won both an Oscar and a Golden Globe for Best Original Song and received a Grammy Award nomination for Best Song Written for a Motion Picture, Television or Other Visual Media, while the soundtrack album received a Grammy Award for Best Soundtrack Album. Collins was helped by composer Eric Serra to record and produce French versions of the songs for the French language version of the movie. What many people do not know is that Collins had another musical interest outside of Genesis even before his solo recordings. In 1976 he joined the jazz fusion band, Brand X as drummer and they recorded Unorthodox Behaviour. The following year along came the Eastern influenced Moroccan Roll, on which Collins sings one song, with the remainder of the album being instrumentals. The same year they released Livestock, a live album, on which Collins plays on half the tracks and he also missed their 1978 album Masque as he was fully committed to Genesis at this point. 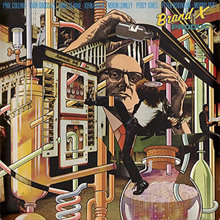 Brand X’s 1979 album, Product also had Collins missing from some tracks, as he was for 1980’s Do They Hurt?. In 1982, despite all his solo commitments Collins was fully back involved for, Is there Anything About, but it proved to be his last album with this fascinating side project that failed to sell records in appreciable numbers, with only Moroccan Roll making the lower reaches of the UK album charts. Collins proves himself a passionate singer (and distinctive drummer) with a gift for both deeply felt ballads and snarling rockers. His debut album transformed him from the frontman of Genesis to a solo star who happened to be in Genesis, too. Contains "In the Air Tonight" and "I Missed Again." 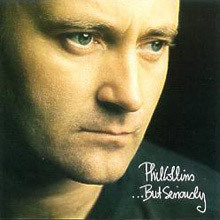 The winner of the 1985 Grammy for Pop Album of the Year, No Jacket Required found Phil Collins fully embracing horn-driven pop music, drum machines, and sentimental ballads over his previous darker and more dramatic solo material. The record established him as a major commercial force, and as one of the most recognizable voices of the 1980s. 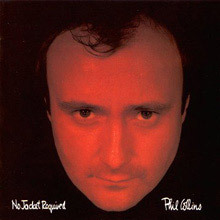 Although the major hits here, "Sussudio," "One More Night," "Who Said I Would," and "Don't Lose My Number" quickly came to sound dated, the album contains several standout tracks. "Long Long Way to Go," which features a cameo by Sting, is one of Collins' most effective ballads, while the pulsating "Take Me Home" utilizes the drama of "In the Air Tonight" on a more wistful track. "Only You Know and I Know" and "Inside Out," meanwhile, show an effective aggressive side to the singer. It's not a completely satisfying recording, but it is the best example of one of the most dominating and influential styles of the 1980s. Spawning four hit singles, But Seriously topped the charts on both sides of the Atlantic. While pursuing much of the same formula as on No Jacket Required, there was also a move toward more organic production as Collins abandoned some of the drum machines and prominent keyboards in the up-tempo numbers in favor of live instrumentation. The decision was a good one as there's no doubt that tracks such as "Find a Way to My Heart" and "Hang in Long Enough" have enough bite to outlast his more dated sounding mid-80s material. As usual, there are a bit too many generic ballads here, but when Collins moves out of his formula as on the dramatic gospel-influenced "I Wish it Would Rain Down," featuring Eric Clapton, the results are staggering. 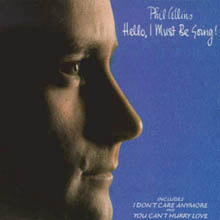 As his hit cover of "You Can't Hurry Love" demonstrates, Phil Collins began to inject his highly melodic pop songwriting with more soul and R&amp;B influences on his second solo album, Hello, I Must Be Going! While some of the material was successful, much of it showed that he was still coming to grips with how to incorporate R&amp;B techniques into his style; in retrospect, Hello, I Must Be Going! laid the groundwork for his breakthrough album, No Jacket Required. 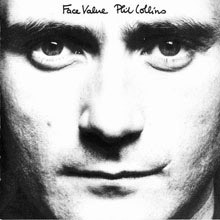 Returning to the stark, melancholy sounds of Face Value, Phil Collins delivers a personal album with Both Sides in more than one sense of the word. Collins played all of the instruments on Both Sides, and the songs are troubled, haunting tales of regret, romance, and society. Although Collins has not lost his flair for melody, the songs are edgier than most of his recent work. Some fans might not go along with Collins on this dark ride, but Both Sides is one of his most artistically satisfying albums. Serious Hits... Live! 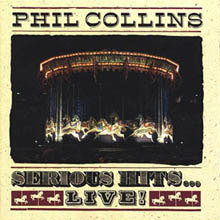 is the name of Phil Collins' 1990 live album with a CD as well as the DVD video recording of that concert. The songs on the CD version are taken from various concerts during the Serious Hits! tour, though it sounds as if the CD was recorded over one entire concert. It was recorded during the Seriously, Live! World Tour. At the Brit Awards in 1992, the album brought Collins a nomination for British Male Artist. This 13-track budget-priced compilation of Brand X's 1977-1980 period is a decent appetite whetter, featuring four tracks from Moroccan Roll, two from Livestock, "Black Moon" from Masques (there should have been more from this album), three from Product, two from& Unorthodox Behaviour and one from Do They Hurt? Fans gain nothing by having this, except another sexually suggestive sleeve image by Hipnosis. But then, this isn't for fans; it is an introduction to the band for the uninitiated -- but who is gonna even care at this stage of the game if you don't already know? Brand X was a studio band comprised of John Goodsall, Percy Jones, Robin Lumley, Morris Pert, and, for the most part, Phil Collins. They played killer, exotic jazz-rock that had soul as well as chops and could be tremendously funky when they wanted to be, as "Hate Zone" from Moroccan Roll attests. Thankfully, whoever compiled this (uncredited) was certain to include tracks like "Nuclear Burn," the live version of "Euthanasia Waltz," "Macrocosm," and all of the best. But, focusing as it does on five albums, the selection, while more than adequately representative, feels skimpy, and that's perhaps because Brand X was an album-oriented band, each one having a little different pace and a little different texture, with emphasis on certain aspects of the band's multi-layered approach to playing and recording. There are decent if workmanlike liner notes here, and the sonics are well-done in remastered form. So if jazz-rock is your thing and you've been living under a rock and happen to be looking for something you've never heard from the mid- to late '70s, this is for you. Brand X's most eclectic album to date, Product is perhaps most notable for its attempts at a pop crossover in the Phil Collins-sung "Don't Make Waves" and "Soho." The range of styles presented here -- hard and soft fusion, pop, progressive rock -- results from the now-interchangeable nature of the Brand X lineup, which, in addition to the returning Collins and Robin Lumley, is expanded to include bassist John Giblin and drummer Mike Clarke (Chuck Burgi having left after Masques). While the pop songs have a tart, new wave sound to them that is oddly ingratiating, they're likely to leave longtime fans scratching their heads. (Genesis fans may hear in "Soho" the musical inspiration for "Illegal Alien," and in Percy Jones' "Dance of the Illegal Aliens" its titular inspiration.) Despite the presence of the original quartet -- Collins, Goodsall, Lumley, Jones -- the four don't appear together on Product, although Goodsall is present for all but one song (the lone pairing of fretless bassists Percy Jones and John Giblin on "Wal to Wal"). Many of this album's tracks have found a place in the band's career retrospectives, including the airy fusion of "Dance of the Illegal Aliens" and the engaging "Algon." While Mike Clarke's impact on the music often goes unnoticed, John Giblin adds a new dimension to the band's sound with two soft, evocative songs: "Rhesus Perplexus" (in which Goodsall's acoustic guitar crosses into Pat Metheny territory) and "April." The remaining tracks, "Not Good Enough -- See Me!" and "...And So to F...," are pleasant instrumentals with a more prominent role for the percussion; Collins thought enough of the latter to include a live version of it on a couple of 12" singles from his subsequent solo career. By nearly doubling the band's size, Product is able to indulge in an interesting game of musical chairs that occasionally overshadows the music itself. The band clearly has talent to spare, but can't seem to agree where to strike. For better or worse, Phil Collins's "In the Air Tonight" was the "Stairway to Heaven" of the 1980s, winning radio stations' listener polls and even lending its designer threat to an episode of Miami Vice. Hits recalls the days when the Collins name on a disc ensured its immediate embrace by programmers and the public. How you feel about these songs will depend on how you felt about them then; despite the undeniable niceness of "Take Me Home" and "One More Night", they're unlikely to win over anyone who didn't adore them to begin with. Those who cared, though, will no doubt be gladdened to find most of Collins's biggest tunes together on one disc.